You can learn fascinating facts about the California Trail and hear the stories of some of its most famous travelers, like Colonel John Jack Myers, at California Trail Interpretive Center. He became an icon of the American West and was a renowned traveler and mountain man. His legacy lives on today. With the start of the Gold Rush, conditions along the Oregon and California Trails had grown sparse, and it was difficult to find good grazing for animals. Colonel Myers and Benoni Hudspeth decided to try a new route from Soda Springs in July of 1849. Historians say this party was made up of 250 people and 70 wagons! Although this new path along the trail saved 25 miles, it didn’t save time. Difficult passages made progress slow, but the path continued to be popular for years. Some theories about the reasons why include better grazing for animals and more access to wood for fires. Eventually, skirmishes with Native American tribes forced travelers back to the main route. 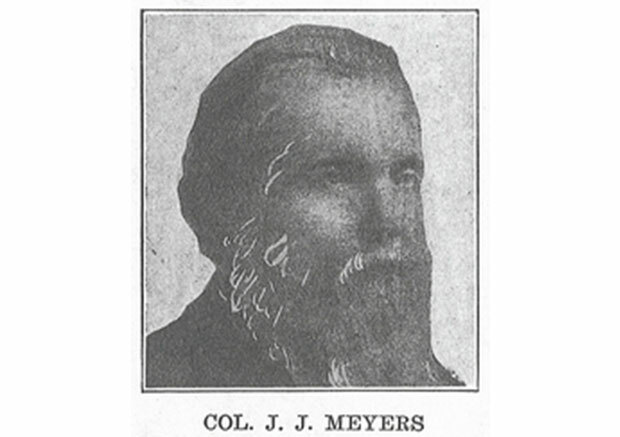 Eventually, J.J. Myers settled in Texas and took up raising stock. After serving as Colonel of DeBray’s 26th Texas Cavalry, he settled back home in Lockhart, Texas and became a drover. It is said he was so good at selecting cattle, that his were not sold for meat, but instead used as foundation breeding stock for ranches. Colonel John Jack Myers met a tragic end when on one of his drives, he was attacked by bandits and chloroformed. He made it back home but died from chloroform poisoning. John Jack Myers was a brave explorer and central figure in the history of the California Trail. Plan a visit to the California Trail Interpretive Center today and learn about other fascinating people, landmarks, and events from the trail that shaped the western United States. History is waiting for you.